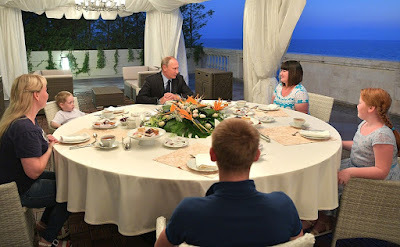 Vladimir Putin met with Anastasia Votintseva and her sister in the Bocharov Ruchei residence. During his working trip to Izhevsk in June, the President invited her to spend a vacation at Russia’s largest health resort as a birthday present. Vladimir Putin with Anastasia Votintseva and her sister and children in the Bocharov Ruchei residence. During the conversation, Russian President asked about the accommodations for Anastasia, her son and her sister with two children. Russian President also noted the range of treatments available at the health resort where Anastasia and her sister are staying. Both women thanked Vladimir Putin for the opportunity to improve the health of their children that are often sick because of poor living conditions. In addition, Vladimir Putin inquired about the progress made on the family’s housing problem. 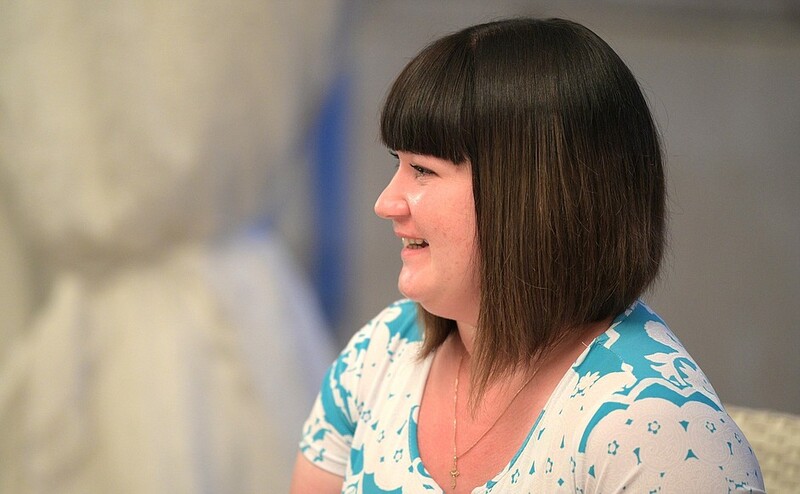 During Direct Line with the President, Anastasia Votintseva explained that she had to live with her sister and children in a dilapidated building and that the authorities were planning to relocate its residents only in 2029. In several days President Putin arrived on a working trip in Izhevsk and could see for himself that the building was unfit for living. The President instructed Acting Head of Udmurtia Alexander Brechalov to arrange for relocation before the end of the year. Vladimir Putin during the meeting with Anastasia Votintseva. 0 Comment to "Putin had a meeting with Anastasia Votintseva"